These are my tips for easy swaps for a toxin free home. This is part of my journey that I started when I was pregnant with my first child. This goes beyond just healthy food and into the toxins all around us. This is the ultimate list and guide. These are some easy swaps I’ve made over the years. Take it slow. Take your time. Take one thing at a time. I will try to give you a glimpse into my toxic free home. 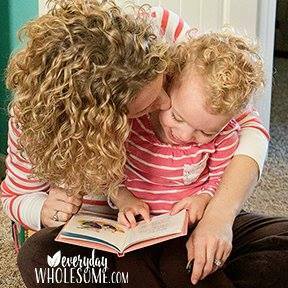 I will show you my favorites of all the nontoxic products on this list! This post may contain affiliate links which means if you click on these links and make a purchase you will support my family and my blog at no additional cost to you. Thank you for supporting my blog by sharing my journey and the products my family uses and loves. What is fragrance? Fragrance is a chemical compound made to smell nice. We all love nice smells. Smells go directly to our brains and make us feel a certain way. Plainly, scents can make us happy. But we know the chemicals in “fragrance” are not good for us. Anywhere you have fragrance you’ll need to look for a replacement. Essential oils are a perfect swap for chemically engineered smells. Think about it. God gave us these essential oils from the plants He gave us to make our lives fragrant and to use to support our health. How can we say no that? That’s incredible. FRAGRANCE REPLACEMENT. Any and all Young Living therapeutic essential oils. CHECK YOUR ESSENTIAL OILS CAREFULLY. Be sure you don’t use essential oils that are filled with chemicals. Unfortunately, we have to be really careful and read every label and check every ingredient these days. But even scarier is that some things aren’t properly labeled. To be considered therapeutic grade essential oil only 5% of that oil has to be pure. The rest can be filler. Isn’t that scary? That is why I only use Young Living Essential oils now that I know that. I know they have above-organic standards. I know that every drop of Young Living oils are pure. I know they are safe for my entire family, to put onto and into our bodies. I can go visit every single farm and see exactly where these oils come from…from seed to the seal of the bottle. It’s so refreshing to find a company this transparent! This was a hard one to stop buying. I love the candles called Bird of Paradise by Circle E. And who doesn’t love Yankee Candle or a fun trip to Bath & Body Works? I mean, haven’t you seen the meme on Facebook about how the 80’s smelled like Cucumber Melon from Bath and Body works? Too bad it’s all filled with “fragrance” which we know are bad for us. CANDLE REPLACEMENT. I now use the diffuser in my starter kit. You can see the diffuser here and some of the oils from the kit are in this photo also (but there’s SO MUCH MORE included in the kit) not included in that pic. And I diffuse essential oils every day. Lately I have been in love with diffusing Lavender. Just lavender. 8-10 drops in my large rooms. I also love Thieves & Frankincense for immune and general health support. Stress Away (has vanilla) & Peppermint together make a great combo. Message me to ask questions or more info on these. All of the oils listed above come in the starter kit! Woohoo! You’ll love it! It’ll make this swap an easy one. Instead of just acnes I used to have plugins and wax warmers all over my house. No really…like ALL OVER. Like in every room. I guess you’d call me scent obsessed…if that’s a thing. I really do love a nice smelling room. HOME AIR FRESHENER REPLACEMENT. Instead of my wax warmers, candles & plug ins, I now use the diffuser in my starter kit. You can see the diffuser here and some of the oils from the kit are in that photo also (but there’s SO MUCH MORE) not included in that pic. You can add on more diffusers every month in your Essential Rewards order while you’re earning more rewards. Or you can buy a couple cheap ones from Amazon to start. I do think the Young Living diffusers are much prettier. And, it took years for Young Living to develop this safe plastic to be used in the diffusers. I prefer to not have plastic anything in my home if I can help it so it really makes me happy to know that the plastic in these Young Living diffusers is safe. I always loved Vanilla in my car. I bought them from the store in a 3 pack. I kept them in my glove box. I let them put air fresheners in my car at the car wash. Not anymore my friends. No more of that toxic stuff! Start looking at ewg.org and you’ll be shocked at the trickery involved in selling us “natural” products that we think are healthy and they’re toxic. It’s so upsetting! For example, this Method Non-Toxic Granite Cleaner gets an F rating on ewg.org. Yes, it says NONTOXIC in the name of the product and it’s toxic. Also, when you’re trying to simplify life, it makes life so much easier to use only one cleaner on ALL THE THINGS. I’ve simplified my life so much and put routines into place where I can to make life easier. And, what I’ve learned is less is more. ONE cleaner for all the things makes my brain happier and less fatigued. Thank you Thieves. ALL CLEANER REPLACEMENT. All the cleaners (counter, carpet, toilet, bathroom, kitchen, floor, granite, mirror, window, and all the rest) can be replaced with ONE BOTTLE OF THIEVES HOUSEHOLD CLEANER at 88 cents or less a bottle. Can you believe that? It’s crazy. It comes in a concentrated bottle so get the 14 or 64 ounce cleaner bottle (not the samples) and then you’ll buy these amber bottles from Amazon. I have four bottles (I bought 2 packs of 2). You will have this cleaner….. like forever. Seriously. At ONE TINY CAPFUL per huge amber bottle you’ll have this bottle for a LONG LONG time, even using it on all the things. One cleaner. Four places in my home. One bottle in the kitchen. One bottle in kid’s / upstairs bathroom to use in tub, toilet, bathroom counters, etc. I can also stain treat clothes there if I remember. 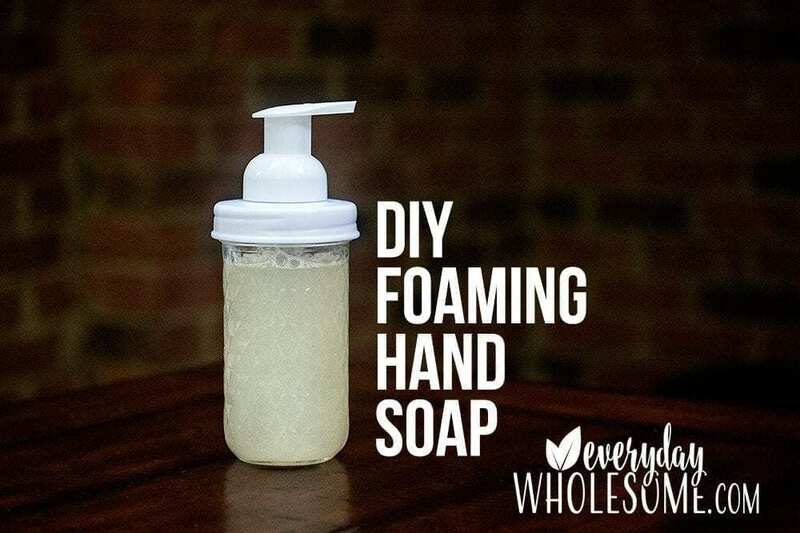 You can read all about it on my blog post about DIY Foaming Hand Soap here. I can’t believe I hadn’t tried this before. It had been in my kitchen for years before I ever tried it on my laundry stains! (hand to forehead!) Stain remover was one of my last non-t0xic product swaps because it was such a drain on me to always have stains on clothes. I had a hard time finding a “green” stain remover that actually worked. I was sick of throwing away good clothes or having clothes sitting in the laundry room all the time in the middle of a stain treatment. It was such a drain that I went back to using chemical ones for a while until….. TOXIC LAUNDRY STAIN REMOVER SWAP. Now, I just keep a bottle of Thieves Household Cleaner Spray in my laundry room. I use it on my clothes and I clean off the tops of the washer/dryer etc with it. If I have a difficult stain I’ll try some Thieves Household Cleaner undiluted. Or I’ll create a mixture of Thieves Dish Soap & Hydrogen Peroxide and let it sit but not for too long. IS LAUNDRY DETERGENT TOXIC? There’s a simple way to check to see if you laundry detergent is toxic. Go to ewg.org and check. Most commercially bought laundry detergents are full of all kinds of unsafe junk. Often….I’ll give you one guess….fragrance. Go look. Who doesn’t love a good laundry detergent scent? I used to LOVE that smell. Then, I found out it was toxic. My daughter now tells me when things smell like “stores” and she means the cleaning aisles full of these chemicals. When I was making the switch to safer laundry detergents, I searched ewg.org and the safe ones on those lists were hard for me to find to buy. They weren’t in my stores and they were hard to find online also. This was years ago and it might be easier today….but not by much. 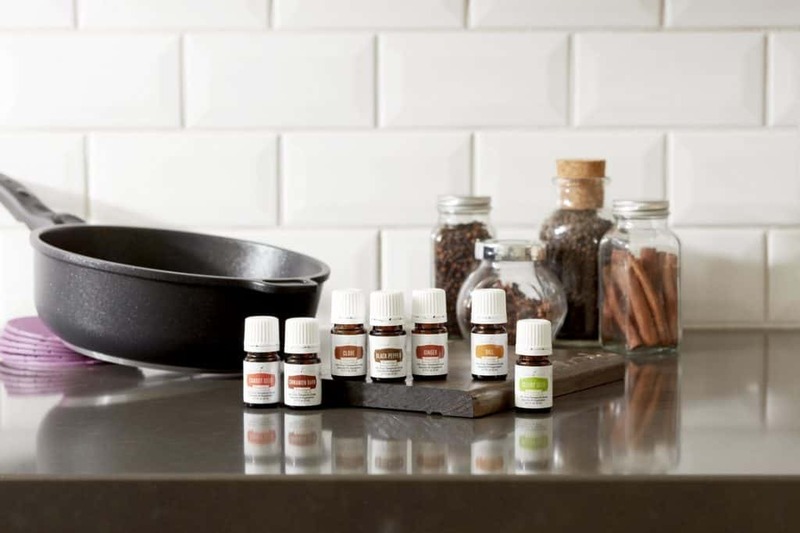 I found it much easier to make my own or to purchased from my Monthly Wellness Box from Young Living. Every month I get a shipment with all my wellness items from Young Living including things like my cleaners and detergents and it’s so much easier on my routines to have it all come from one place. Over the years, I have tried A TON of laundry detergents. One, in fact, I am quite certain cost me my washing machine. I guess I should do a post about that. The laundry detergent with shaved Castile bar soap ruined my washing machine I believe. After years of trying TONS of different detergents from stores and Amazon and making my own I think I have found my very favorites. MY FAVORITE LAUNDRY DETERGENT SWAPS. Thieves Laundry Detergent is the easiest swap. Just add it to your monthly Essential Rewards order and you’re done! Bren Did Liquid Sal’s Suds Laundry Detergent Recipe There are 2 on there and I prefer the sals suds version. DIY Thieves Laundry Detergent by Lemons, Lavender & Laundry This is on my list to try next. I can’t wait. What a great idea! MY FAVORITE LIQUID FABRIC SOFTENER SWAP. Bren Did’s Liquid Homemade Fabric Softener. Dryer Balls I bought my current set (the dog ate the last ones) two years ago and they’re still perfect. I have a white set and a black set. Purification Essential Oil on my Essential Rewards order. It’s kind of like my deodorant search. The ones that are at the health food store aren’t actually as safe as I thought they were, they didn’t smell as great (or in this case taste as great) and I wasn’t sure they worked as well. TOXIC TOOTHPASTE & MOUTHWASH & FLOSS SWAP. I really loved my Thieves toothpaste the first time I tried it. I also learned that cavities are caused by bacteria in the mouth and if Thieves is getting rid of that bacteria it would make sense that I have not had a cavity since I started using Thieves toothpaste. I used to have them more often than I’d like so I’m hoping there is a correlation and not just a coincidence. The mouthwash burns a bit…but doesn’t all mouthwash? And I really do love the taste of my Thieves toothpaste. Now, I just need to floss more. I think I’ll go floss after I finish this article. Just because I feel guilty writing this post and not flossing enough. I have a whole post about this because it’s near and dear to my….heart? Nose? This is a REALLY HARD swap if you try to go to the drug store or the health food store and find a “natural” deodorant. 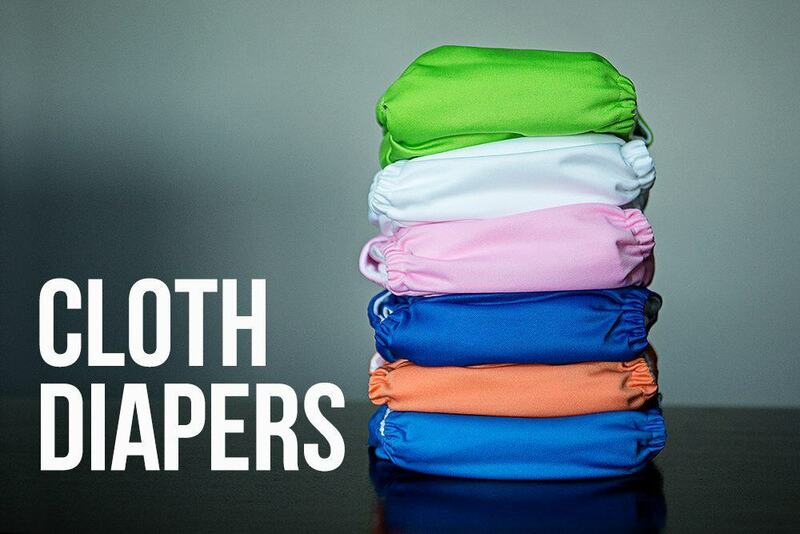 They either aren’t natural enough or they’re terrible and you will have a Stinky Summer of 2015, for example. Not that I know anything about that. I’ve done the work for you and THESE ARE MY FAVORITE NONTOXIC DEODORANT SWAPS. Primally Pure Deodorant (my favorite to buy and I love to reuse the containers for my DIY recipe later). This is such an easy swap…. it’s crazy. Instead of the chemical goo gone stuff, just use Lemon Essential Oil. And a little hint is that Young Living Lemon Vitality Essential Oil is the exact same as Young Living Lemon Essential Oil you can use either one you have on hand. I love Lemon Vitality in my water so I have that on hand all the time. At $6 a bottle it’s always in my essential oil cabinet. STICKY RESIDUE REMOVER SWAP. Lemon Vitality Essential Oil or Lemon Essential Oil. Can you believe the same Lemon Vitality Essential Oil above that you will use on your clothes to remove sticky residue is the same product you can use to add a drop to your water and enjoy a tasty beverage? That’s how it should be! If you can breathe it in and put it on your skin and clothes, you should be able to eat it. The things we put on our skin and breathe in are going into our bodies the same as if we ingest them….only they don’t pass through our liver to filter toxins. When I waited tables in college, they stored the lemons on the FLOOR in the color and then we picked up a lemon, sliced it and put it in the water cup of YOUR glass. How gross, right? I do not order lemon in my water at restaurants. LEMON SLICES IN MY WATER REPLACEMENT. Instead I drop a drop of Lemon Essential Oil in my water. And it tastes delightful! This one is obvious because we can taste these chemicals in our cups after they come out the dishwasher sometimes. Trust your gut and look into a safer detergent for your home. I always suggest looking on ewg.org for safer versions but I HAVE SPENT HOURS researching products that are safe AND then where to easily buy them. 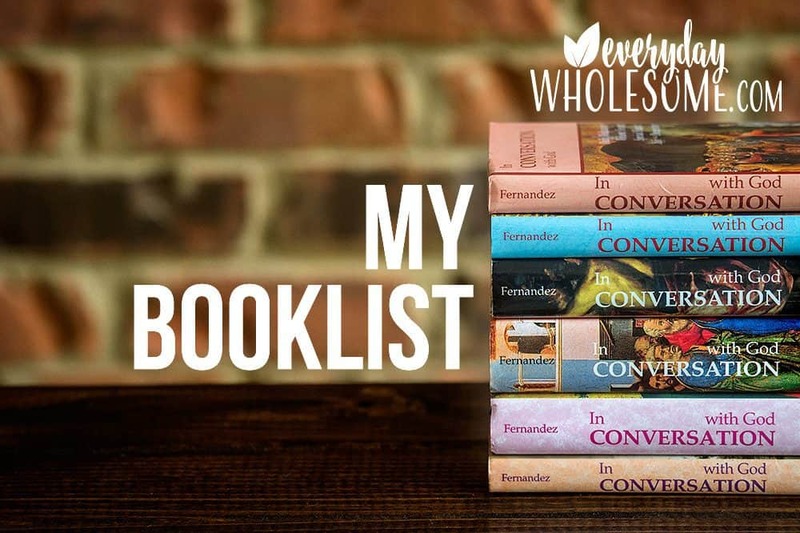 I prefer to use my Monthly Wellness Box (Essential Rewards through Young Living) and just order safe, plant-based, good-smelling products that work every month and they come to my door and it’s done. TOXIC DISHWASHER DETERGENT SWAP. For me, it’s so much easier to buy dishwasher detergent than to make it. I have tried making homemade DIY dishwasher detergent and it’s pretty time consuming and it didn’t work as well. HOW TO GET YOUR DISHES SANITIZED? I read an experiment done by Dr. Annie’s Experiments where she showed that to sanitize your dishes you need to use the hottest water and heat dry to kill germs. I find this one important when we have someone sick in the house. HOT WATER AND DRY IN THE DISHWASHER IS BAD FOR PLASTIC RIGHT? Right. 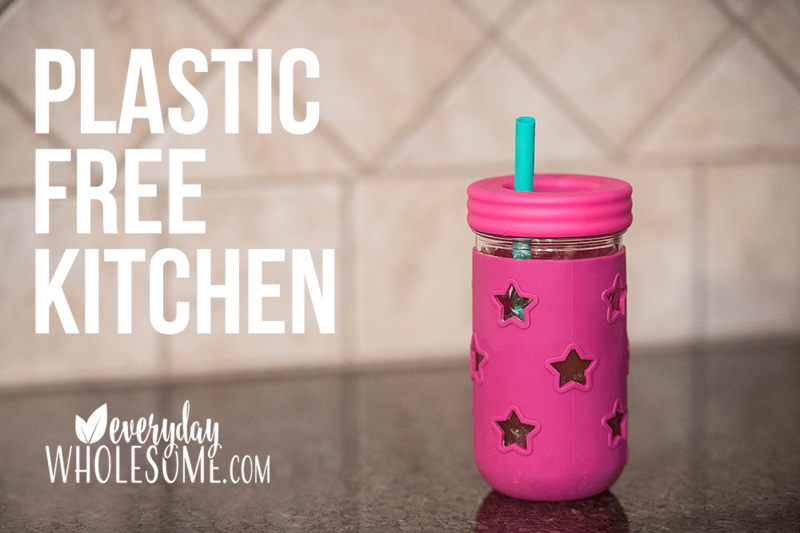 Have you read my post on my Plastic Free Kitchen (ok it’s almost plastic free, but it’s definitely plastic-less!) . Find it here. This one, again, you can smell and you can see it. You know the blue dawn dish soap works but it’s not good for you to smell or eat, so it’s time to find something else. MY FAVORITE TOXIC DISH SOAP SWAPS. Puracy Natural is another dish soap I like. My kids do not like hand sanitizer that is not mine. They turn down hand sanitizer at school and at the doctor’s office. It’s stinky and burny and they prefer mine. I think once you remove all the chemicals it’s as if you become a toxin finder out in the world. They smell extremely artificial and it’s as if your body repels them. I feel like we now know that those smells are unnatural and my kids don’t like them. But they do love our essential oils. MY TOXIC HAND SANITIZER SWAP. 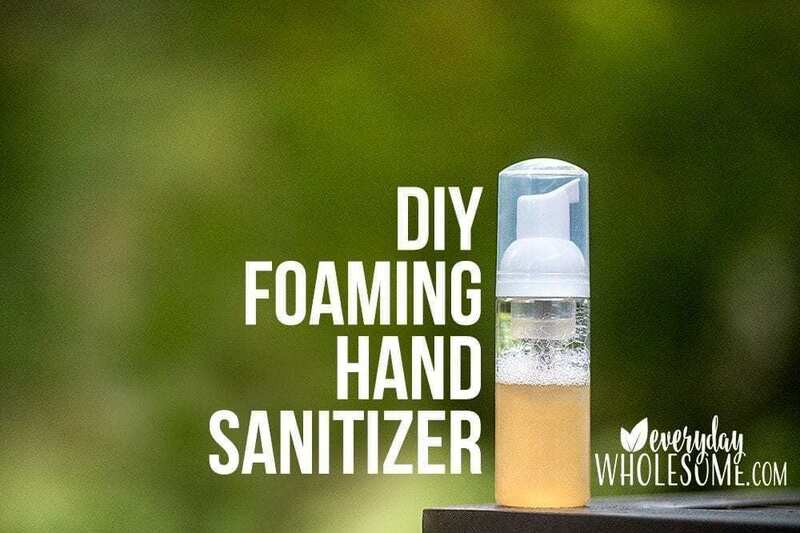 MY DIY Foaming Hand Sanitizer is our favorite. And it doubles as hand soap when we are out and about and don’t want to use the chemically, commercial hand soap in the public restrooms also. 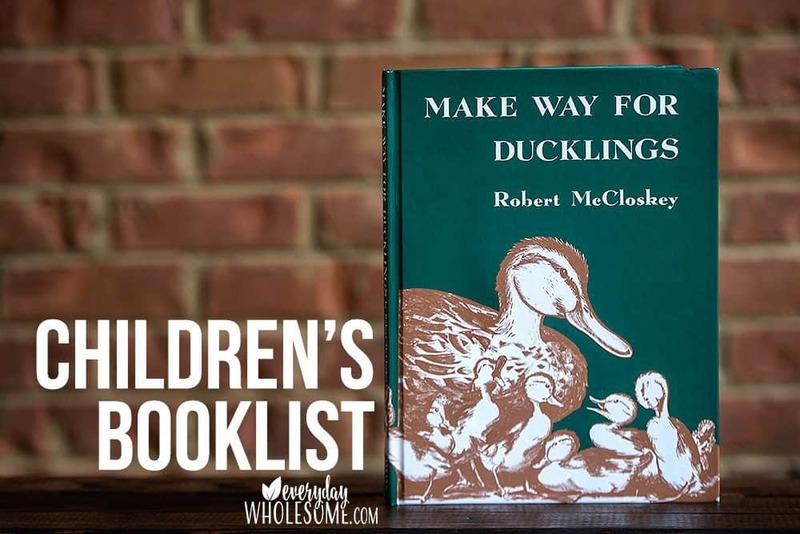 The foaming part of this recipe makes it really easy for kids to use and it also saves on products because we don’t use a whole lot at a time. Anything foaming uses about 1/10 of the amount of soap you would use otherwise. But if I don’t have time to make it or for a great gift item…. Thieves Waterless Hand Purifier is my back up and I have it on hand if I run out of my homemade or just to have it on hand. I also love to gift this because it’s fabulous. WHAT ABOUT NONTOXIC BABY PRODUCTS? Because we know fragrances are bad, most safe baby products are unscented. But I don’t know about you I love a clean, smelly baby. And, now I can have that again!!! TOXIC BABY PRODUCT REPLACEMENT. Thankfully there are quite a few safe baby product lines popping up these days. It used to be MUCH harder to find but now there are more. BUT I haven’t found another line that smells this great. The CALM smell Young Living created through essential oils is amazing. I am in love with it and the products are amazing. I’m not just saying that. I tried another great safe beauty brand and I did not love their baby line as much as this one. I thought I did….until I tried this one! Hand down a winner! I’m in love. One of my all time favorite Young Living products that I literally buy in bulk is the YL Seedlings Baby Lotion. I am in love. I use it. It’s my body wash and my lotion. Each kid uses it. My mom uses it. I have one in my car, in my bags, in each room. I am in love with this stuff. I have never found a lotion, or cream or salve or any other skin product so nourishing. I can’t say enough about this. Shhhhhh! This is on my gift list for many people in my life this year. I love it so much. YL Seedlings Baby Wash f0r baths. 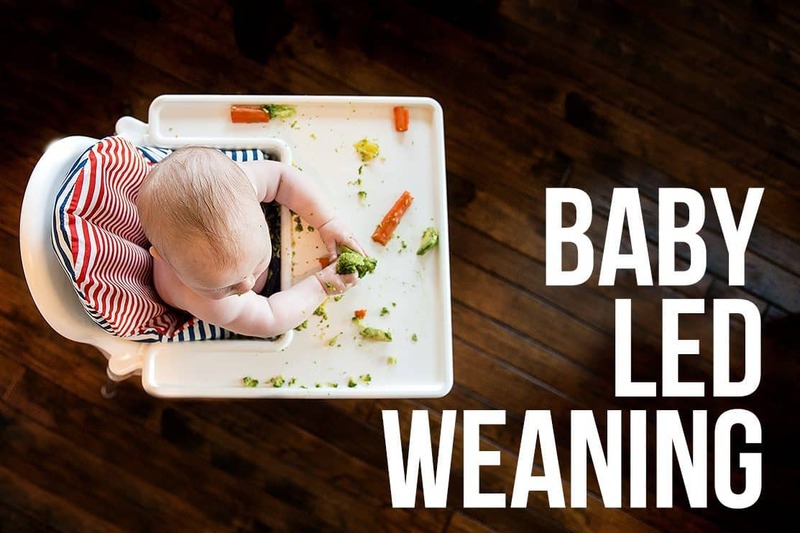 (read my How to Bathe a Baby Post here.) Note: I use this as my shower gel also! WHAT ABOUT NONTOXIC BEAUTY PRODUCTS? I have some posts in the works on my beauty routine. Most of my favorite products are beautycounter, but as I star trying more Young Living Savvy Minerals makeup and skincare products through my monthly orders, I’ll be sure to share with you. This month I cannot wait to get my new Lavender infused mascara. Here is some information I’ve put together about the beauty products I’m loving right now from beauty counter. I’ll be updating this every month as I change my routine and products. WANT TO REMOVE ALL THE TOXINS NOW? FAST? Did you see the infographic I made? It’s at the top and bottom of this post. Be sure to share it and pin it and comment below on your favorite swaps! Everything on the TOXIC side of this infographic list can be swapped out with Young Living products including beauty products which I didn’t even list on this sheet! When you sign up to start switching over products to create your new your toxic-free home you’ll see that you can sign up for Essential Rewards (but you don’t have to) and you’ll get to customize the products you’re ready to start swapping out each month. You’re already spending this money on these products at the store so as they run out you can start to swap them out with these new products. A few options for you…. Get rid of all the toxins today. Sign up for Young Living Starter Kit & Essential Rewards. Replace all the toxins TODAY. And be sure to message me so I can be a part of your journey! I am so happy for you and I want to hear about each and every product you try! Or you can wait until products run out. As your existing, toxic products start to run low, start the switch. 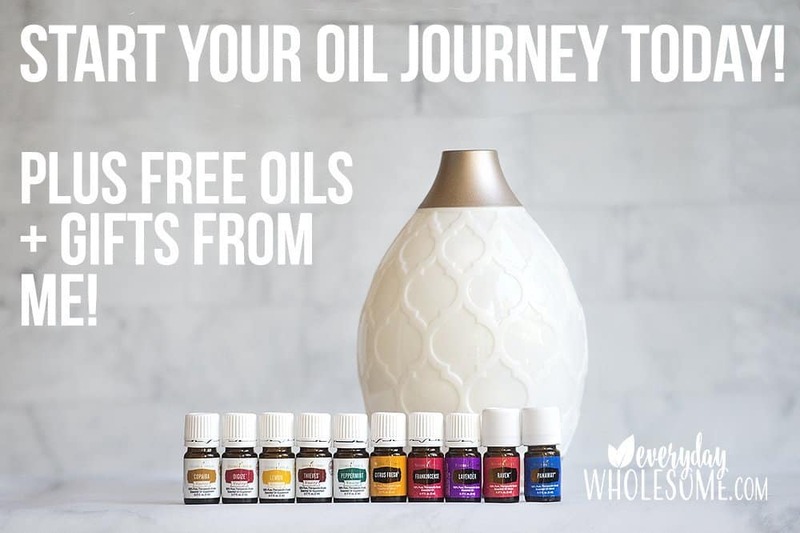 Sign up for Young Living Starter Kit & Essential Rewards and as you start to run out of products, start to switch them over a few at at time, every month. 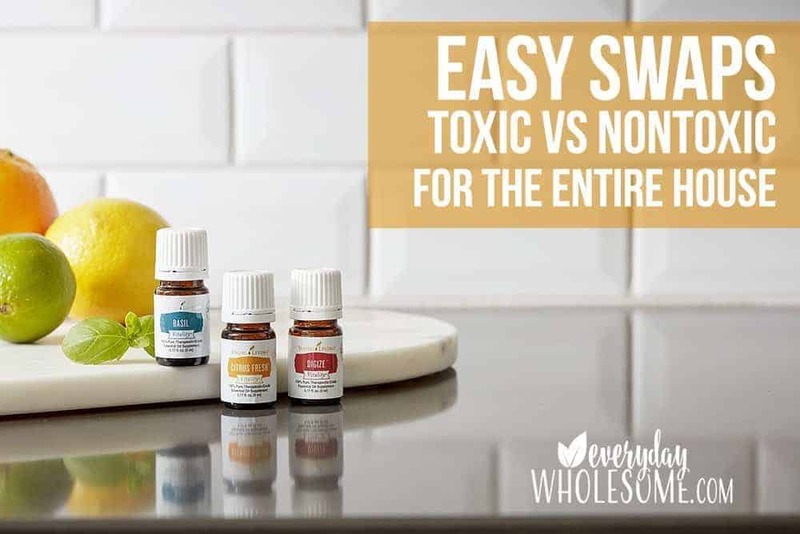 WHY YOUNG LIVING FOR YOUR NONTOXIC HOME FRAGRANCE & CLEANING SWAPS? FRAGRANCE is the main reason. As I’ve shared in my story before, I switched over to essential oils for FRAGRANCE first. I loved having my home smell lovely and then I discovered that my air fresheners were toxic to myself and my family. 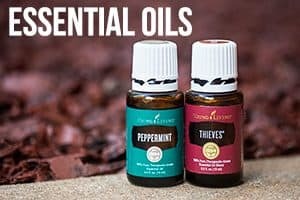 I started using essential oils to have nice smells around that were safe! Young Living makes toxic free living easy. Some of these products are available at the health food store. But, which ones should you buy? And, don’t forget you have to check each and every one on ewg.org because they’re tricky. This Method Non-Toxic Granite Cleaner gets an F rating on ewg.org. Yes, it says NONTOXIC in the name of the product and it’s toxic. You don’t have to question the safety of the products that Young Living has to offer. They are all plant based and they actually work. And, it’s a great place to start. If you try the Young Living Deodorant for example and you don’t love it, you can research another one that you might like better. But at least you’ve removed the toxins from your home. 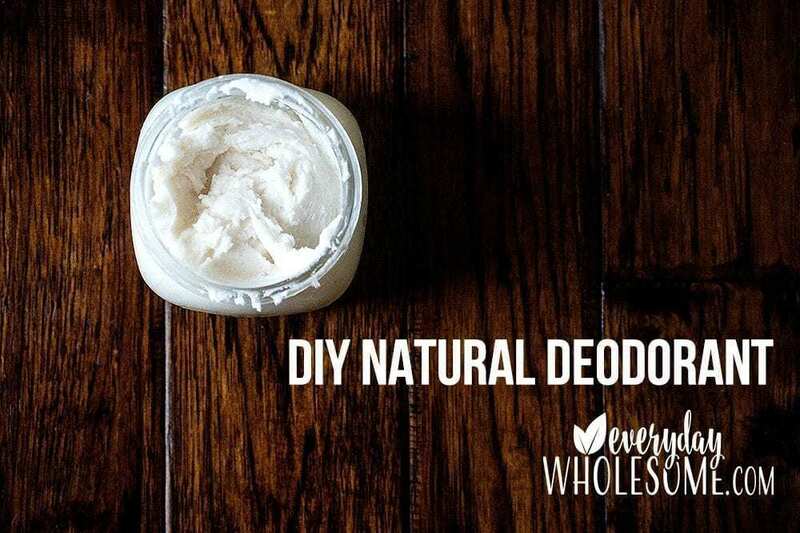 For example, I had already found my favorite DIY Natural Deodorant recipe that I love. 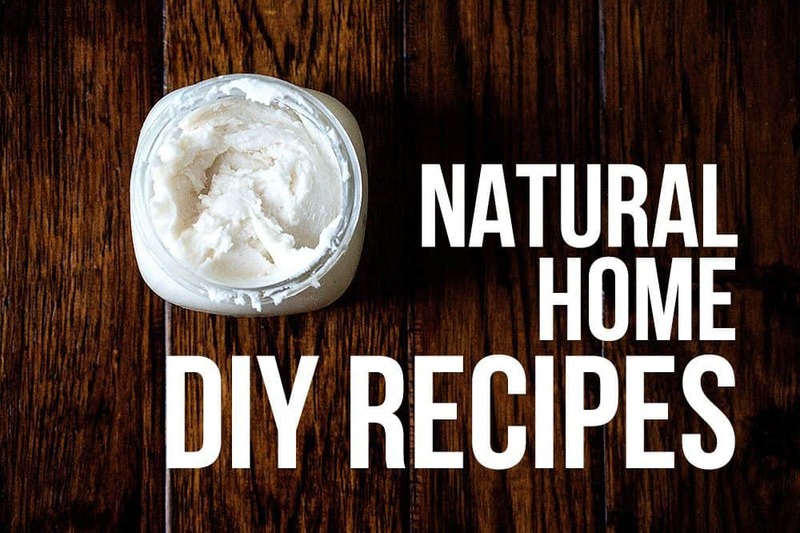 And I love to buy this deodorant from Primally Pure and I use the empty containers to refill with my DIY Natural Deodorant that I have fun concocting with my monthly wellness box from Young Living. My favorite DIY deodorant lately has geranium or lavender. I have a recipe of both in my old Primally Pure containers in my bathroom right now. ARE YOUR ESSENTIAL OILS PURE? I trust Young Living because they are pure and they are transparent. You can go visit any and all of their farms and watch their process from the beginning to the end. They are an open book. They are not hiding anything. You might pay more for that pure, therapeutic oil but you know it’s safe and better than that….it’s actually improving the health of your family. I hope to hear from you! Message me so we can chat! I can’t wait for you journey to begin!!! PIN THIS TO PINTEREST & SHARE WITH YOUR FRIENDS!